Amazing, right?? After they started tackling this room, I helped brainstorm flooring ideas with them. In the end we chose Pergo. 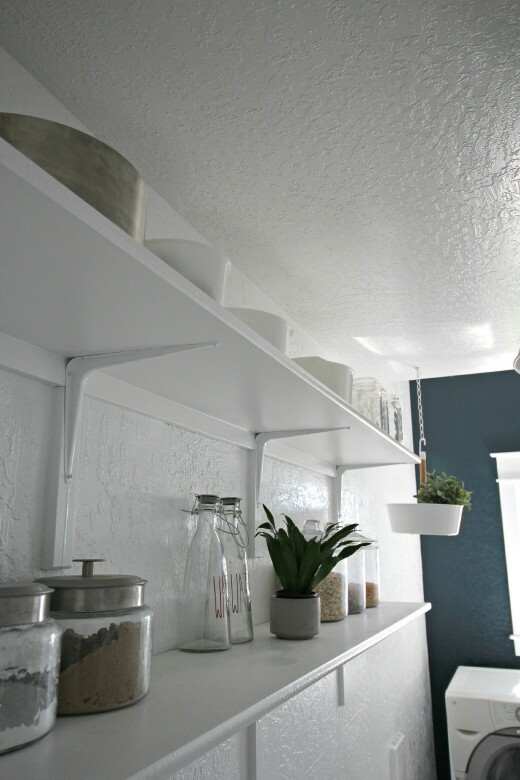 Pergo is completely DIY friendly, which lends itself to this particular project. You will see on the video below that I got my hands dirty in the installation. 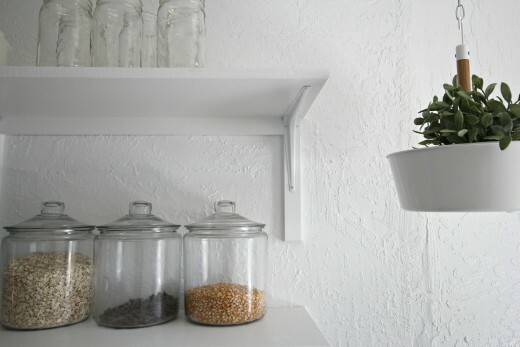 Pergo is super easy and quick to install. The main reasons as to why I chose Pergo was because of the great price, the livability and the color choices. In the end I chose Whiteside Pine. 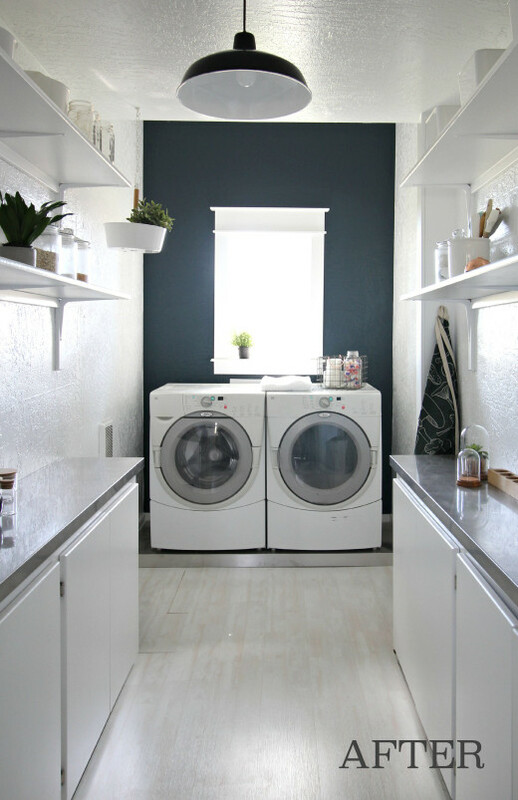 It’s modern and whitewashed, which looks fantastic in this modern farmhouse laundry room. 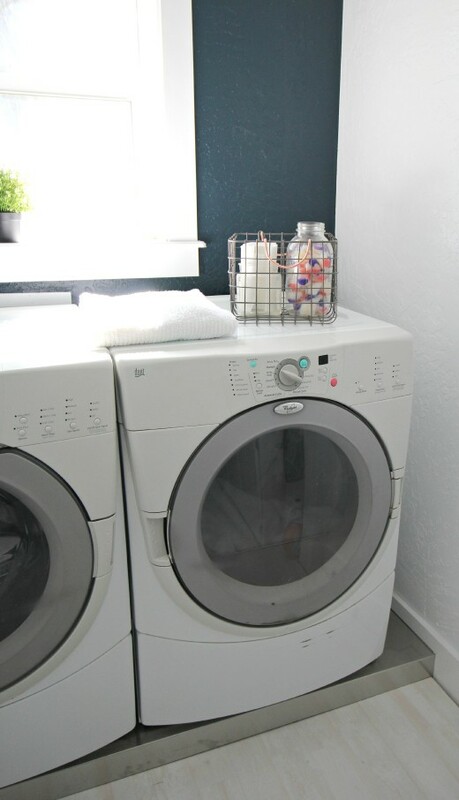 It’s clean and fresh….everything I love! The entire installation process took only an hour, with another few hours spent cutting the flooring and trim. And let me tell you, Pergo is very budget friendly. 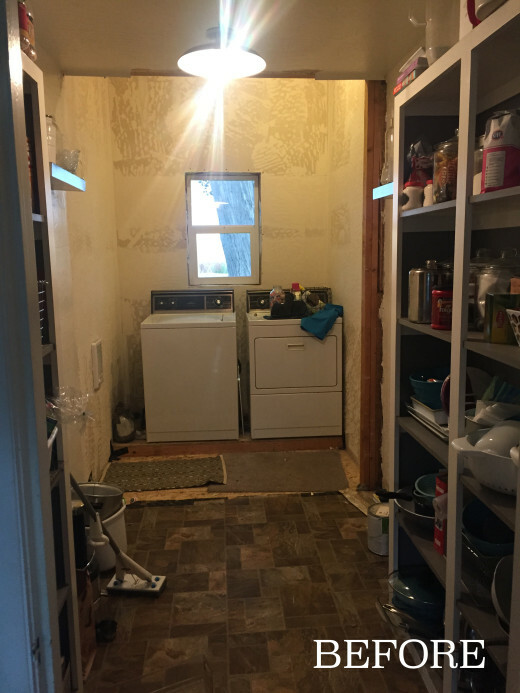 This entire project cost under a $100! 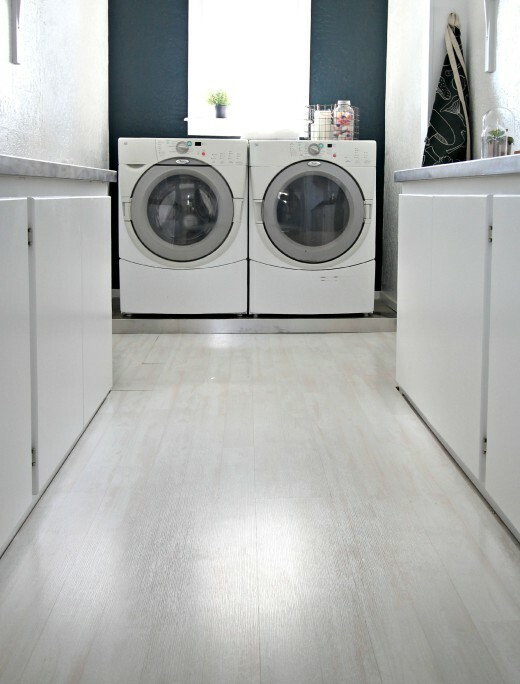 Which is crazy to think considering Pergo floors have twice the wear and twice the durability than ordinary laminate floors. It really is a great product that I am happy to promote! Shop Pergo here. Watch the video below to see me install the flooring and possibly do some push ups at the end. I’m just in awe of the entire renovation. You did an amazing job! Whoa! You really did great a good job. You must have used a magic trick. LOL. But really, the room looked neat and awesome! Such an enormous difference! The after pictures are stunning. The floor is amazing but everything else is too! Great Job!!! It looks amazing!!! 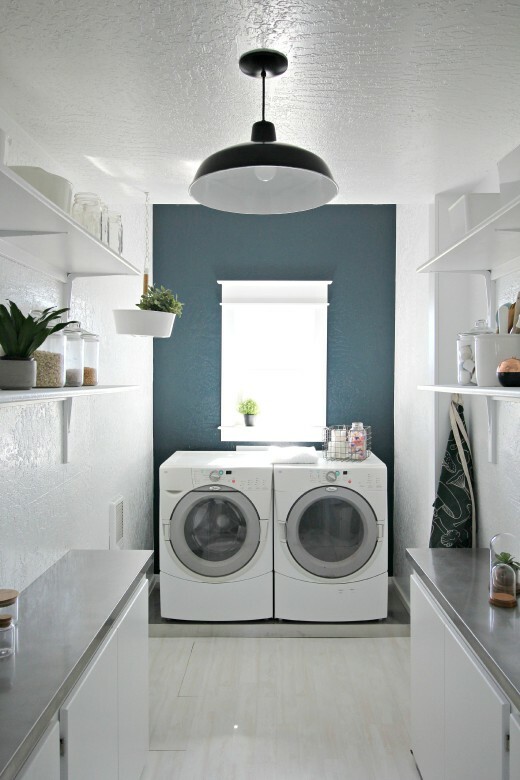 What a great Laundry Room! So big and roomy!! Love it! Beautiful and fresh. 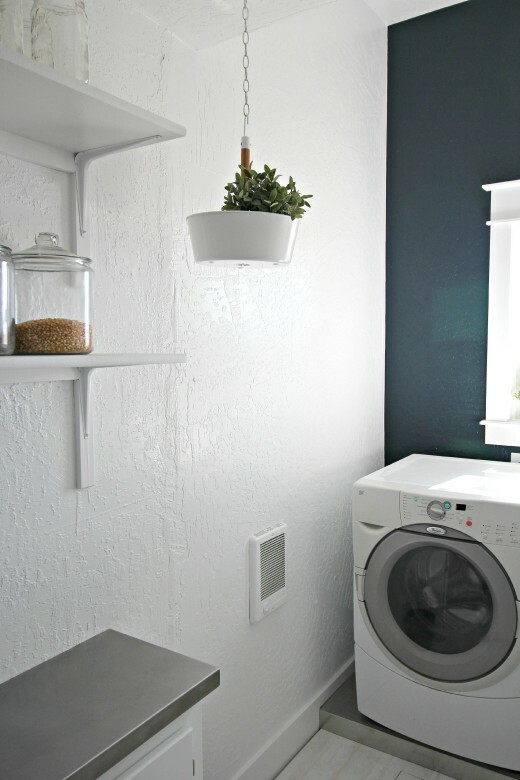 What is the brand and name of the accent wall paint? Thank you.